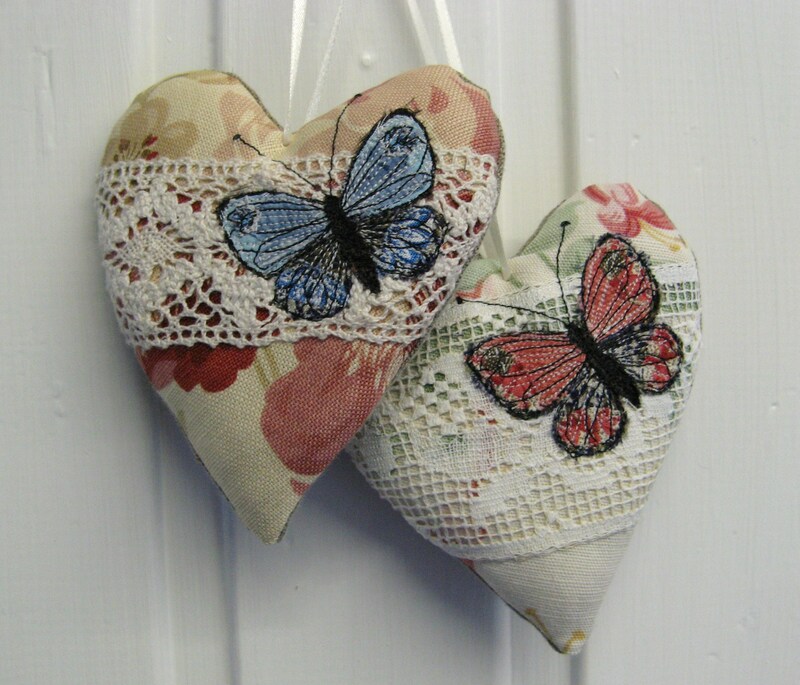 I really like the way the brooches and hearts look together. 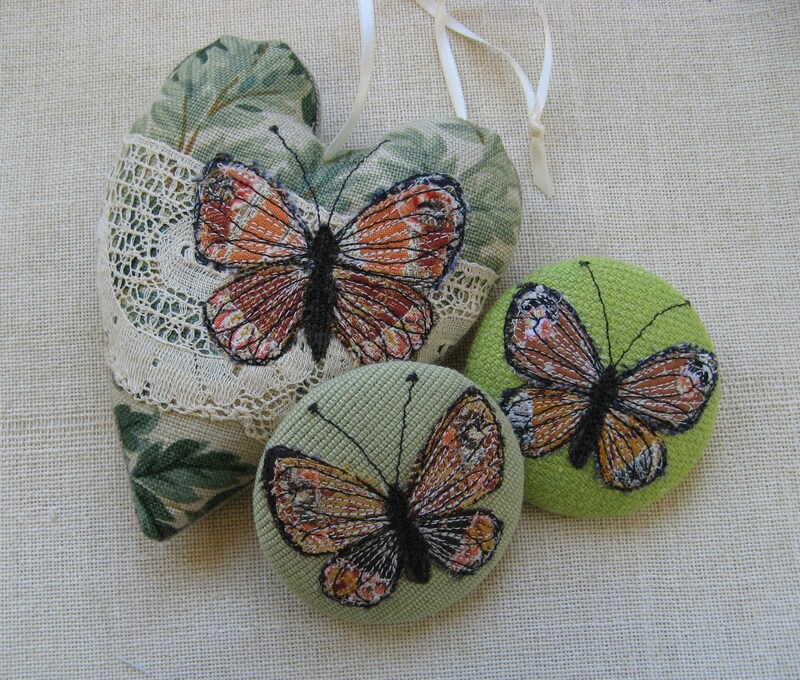 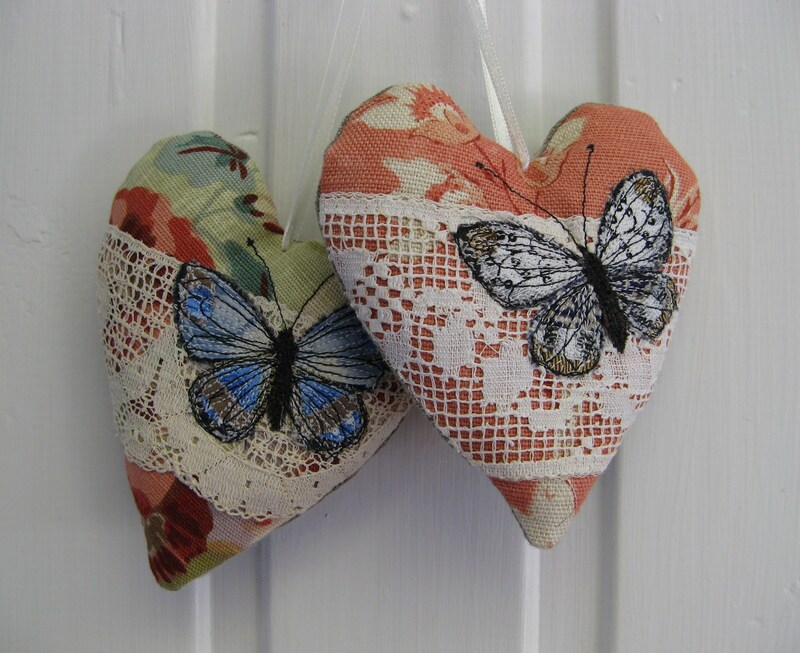 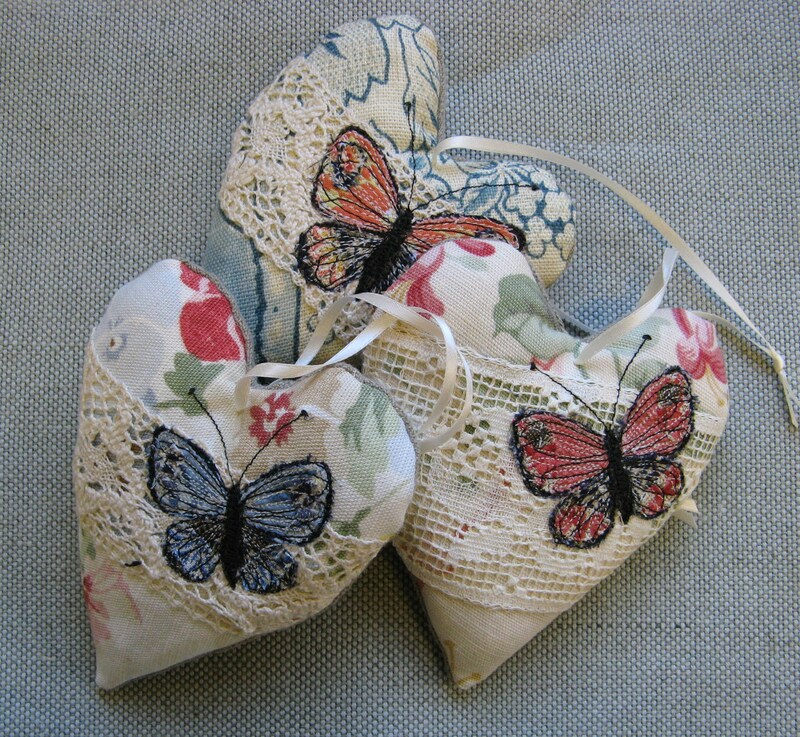 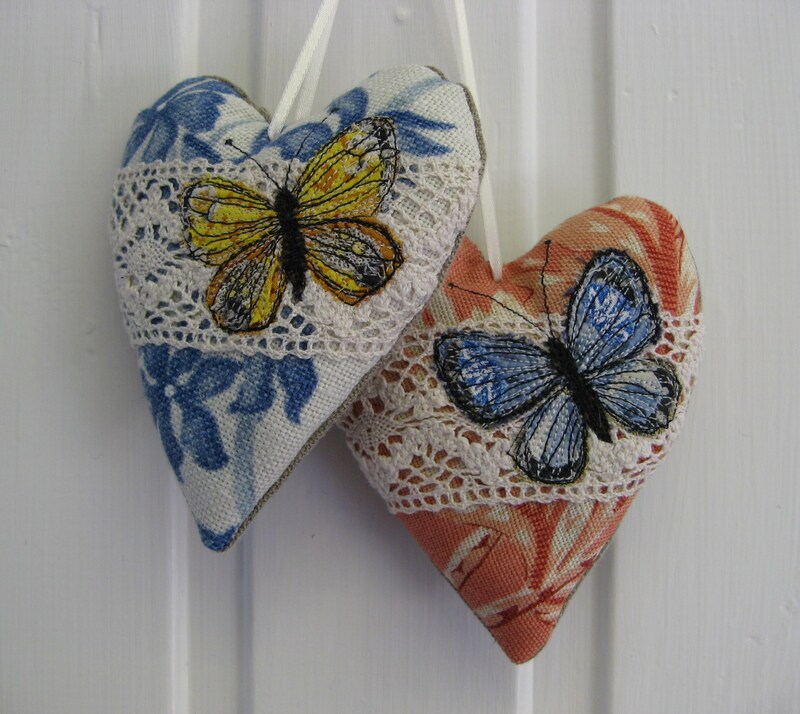 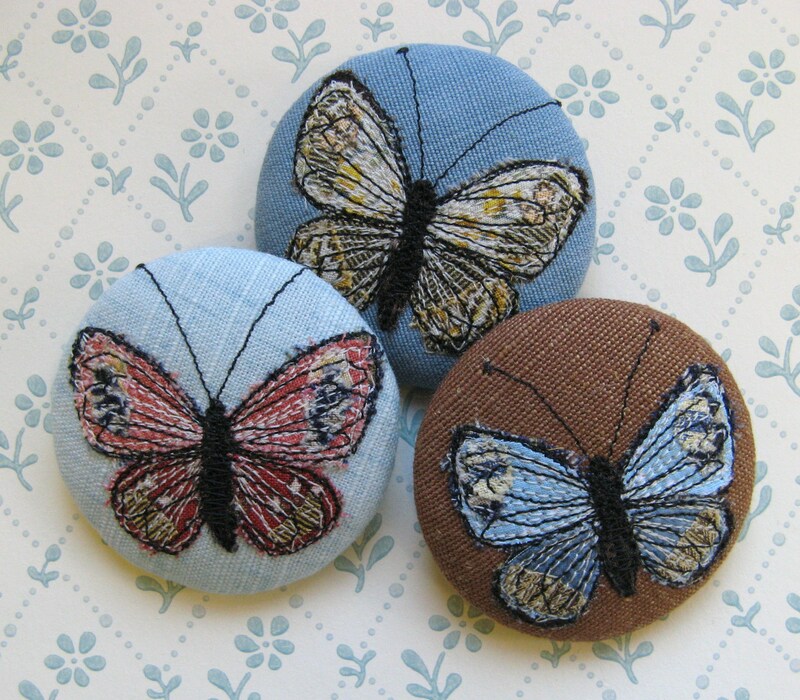 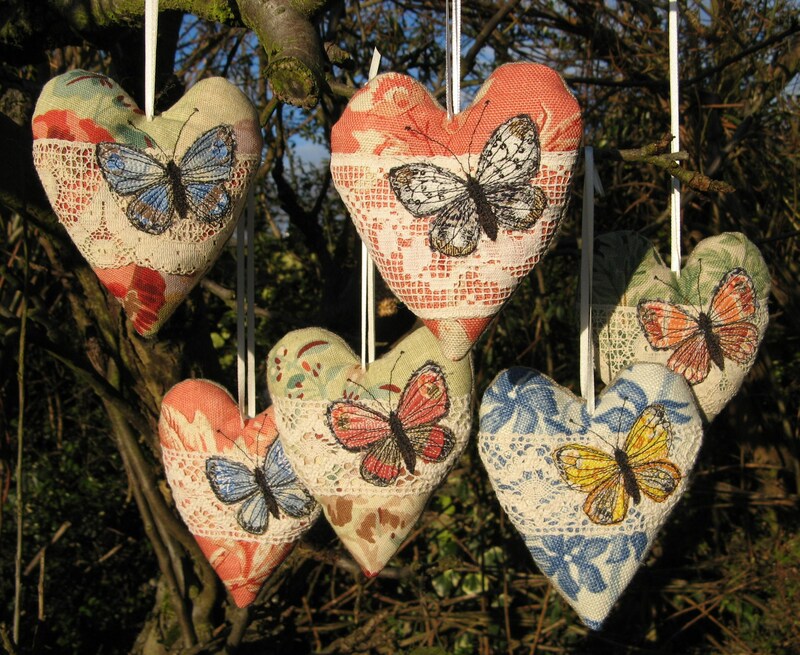 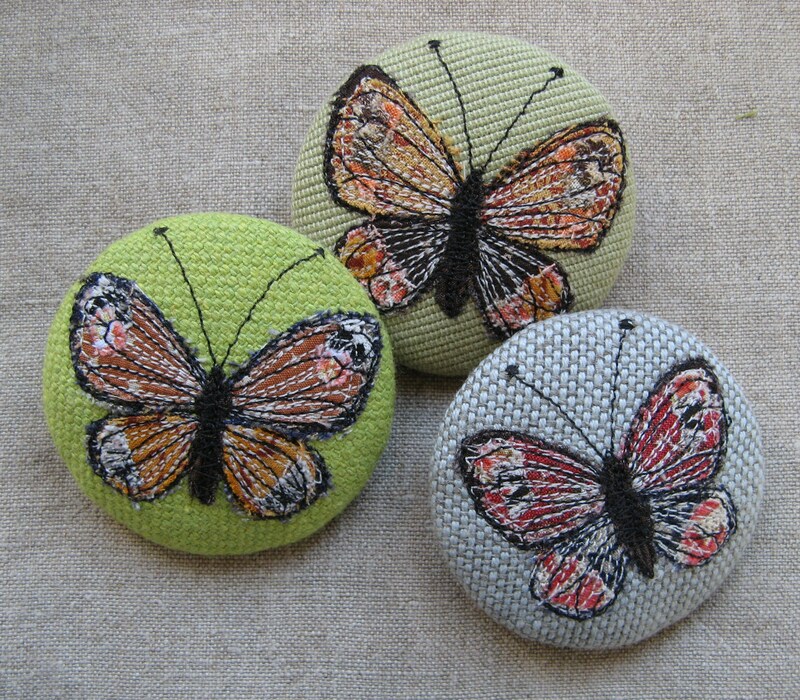 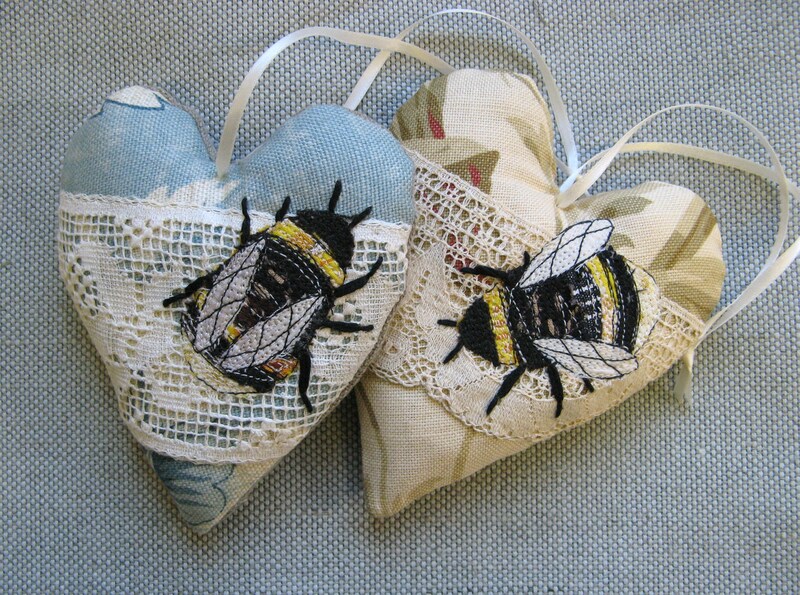 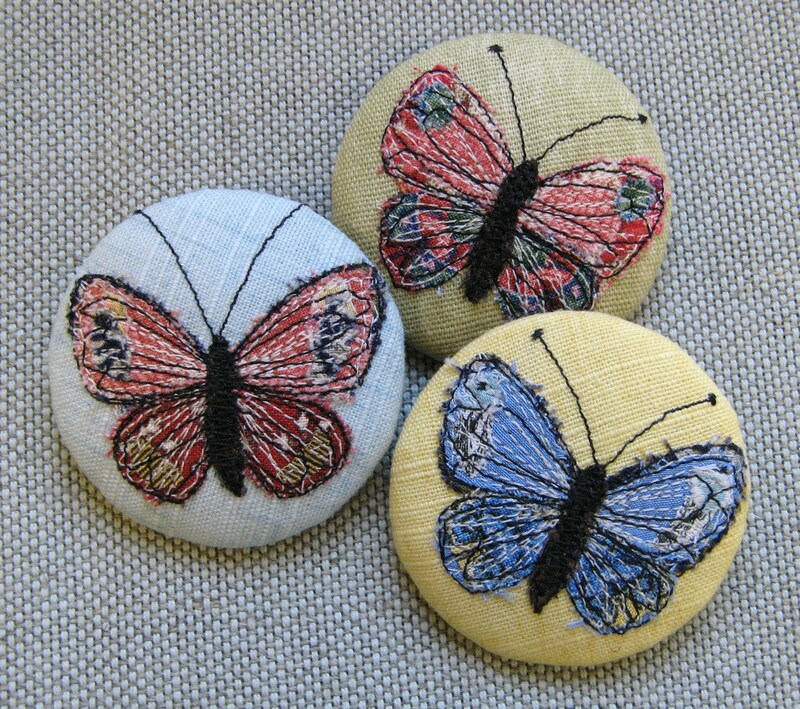 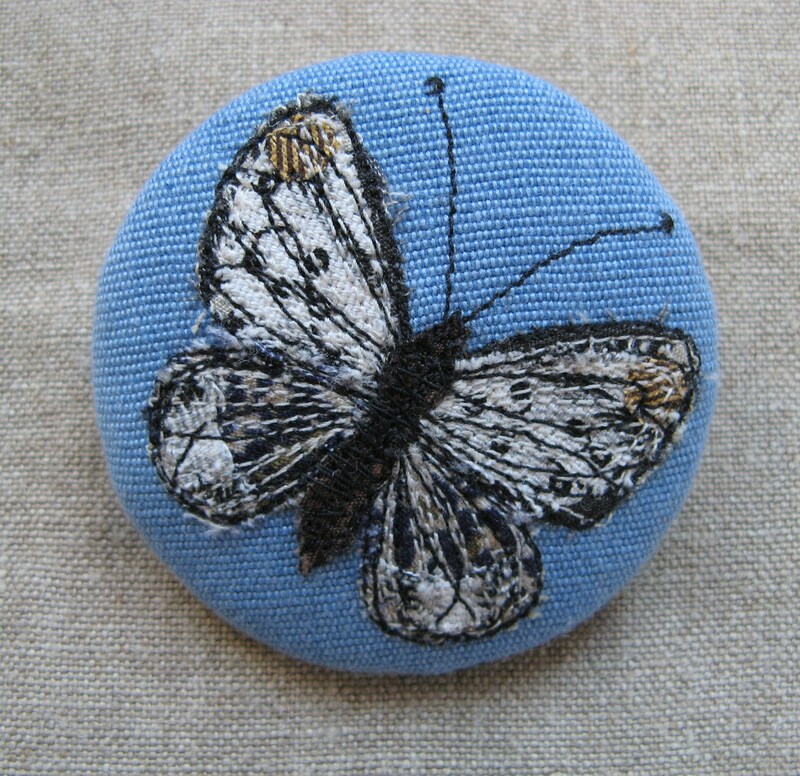 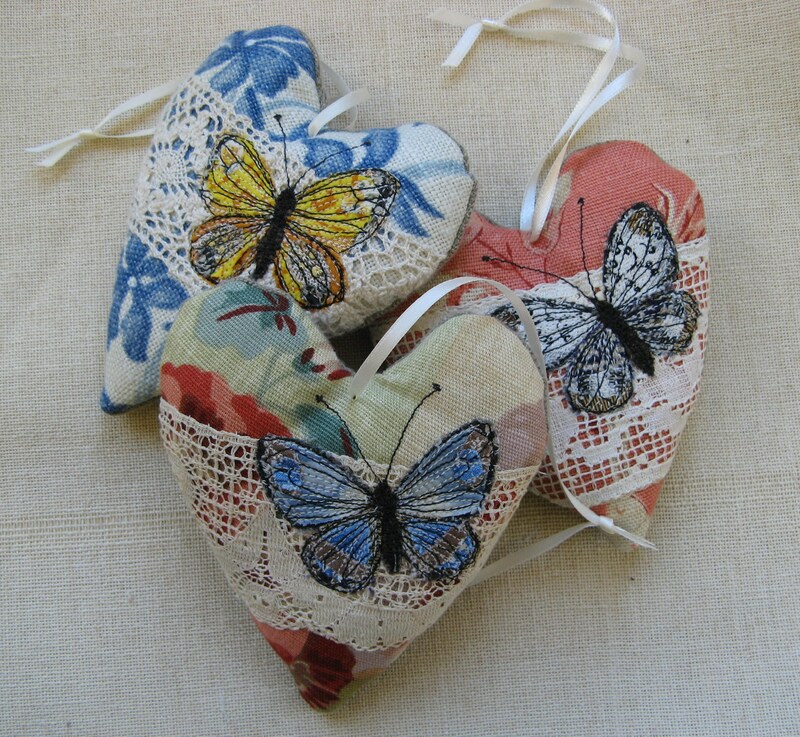 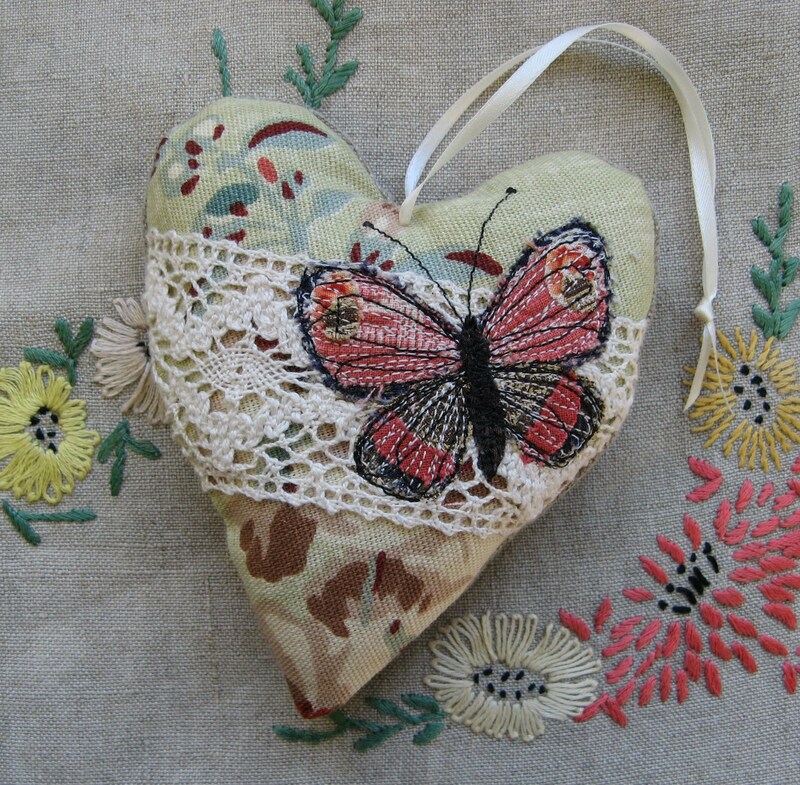 I`m really pleased with these and have just listed a few hearts on my Etsy shop. 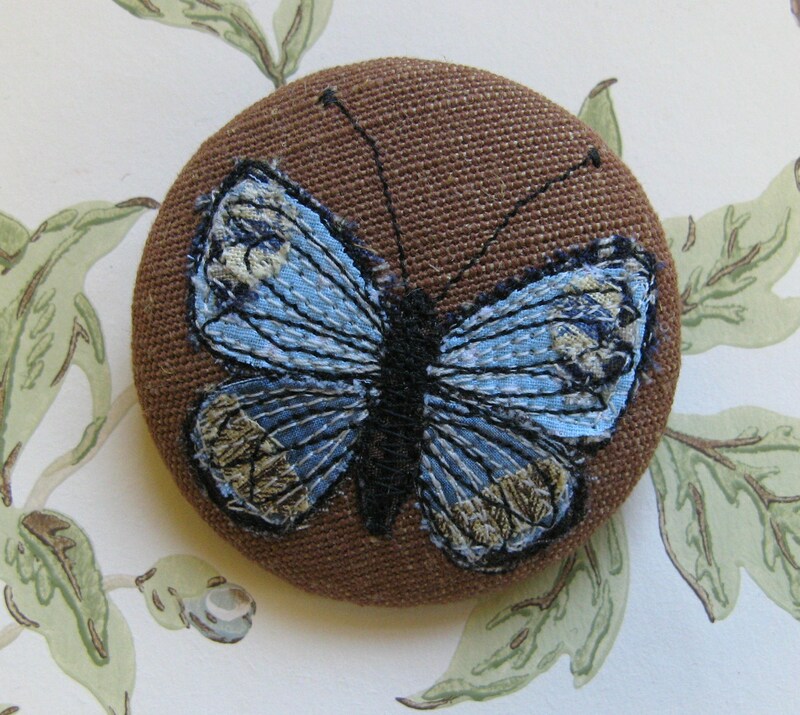 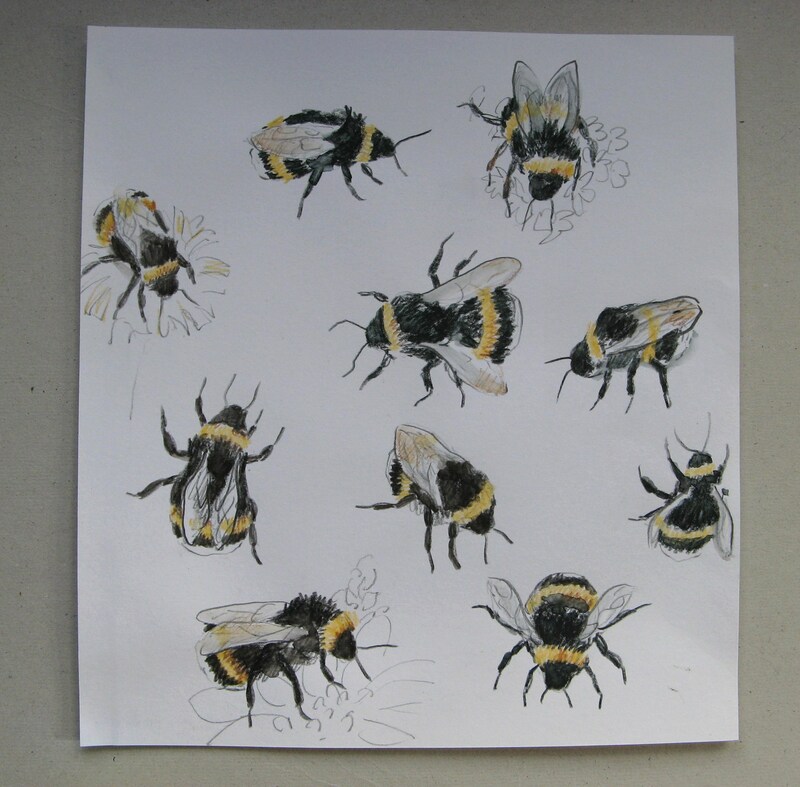 I am enjoying working with these techniques and can see my butterflies and bees emerging as my signature style. 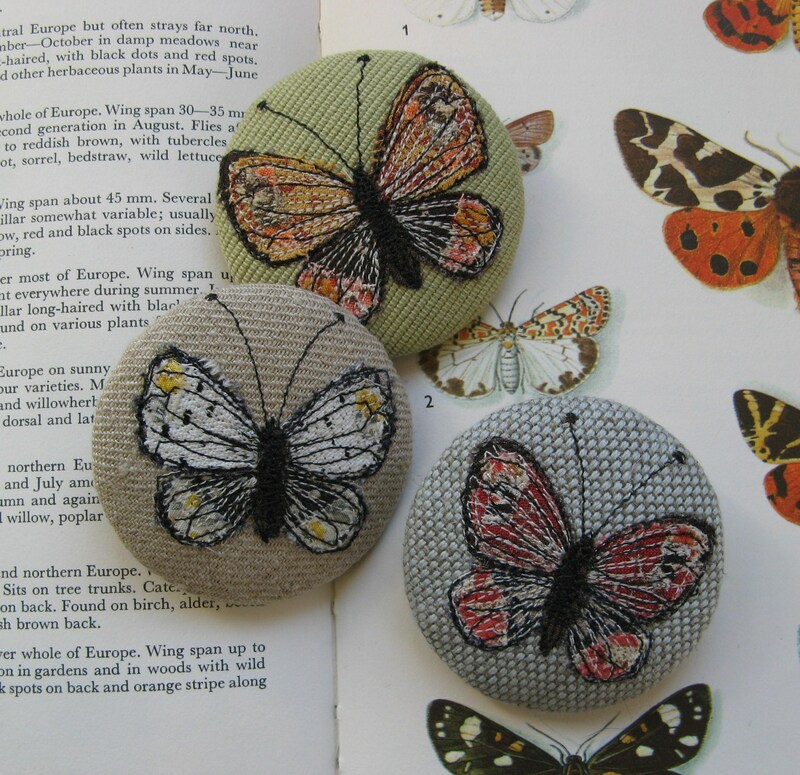 I want to keep developing this way of working, combining drawings from nature, machine embroidery and vintage linens and lace. 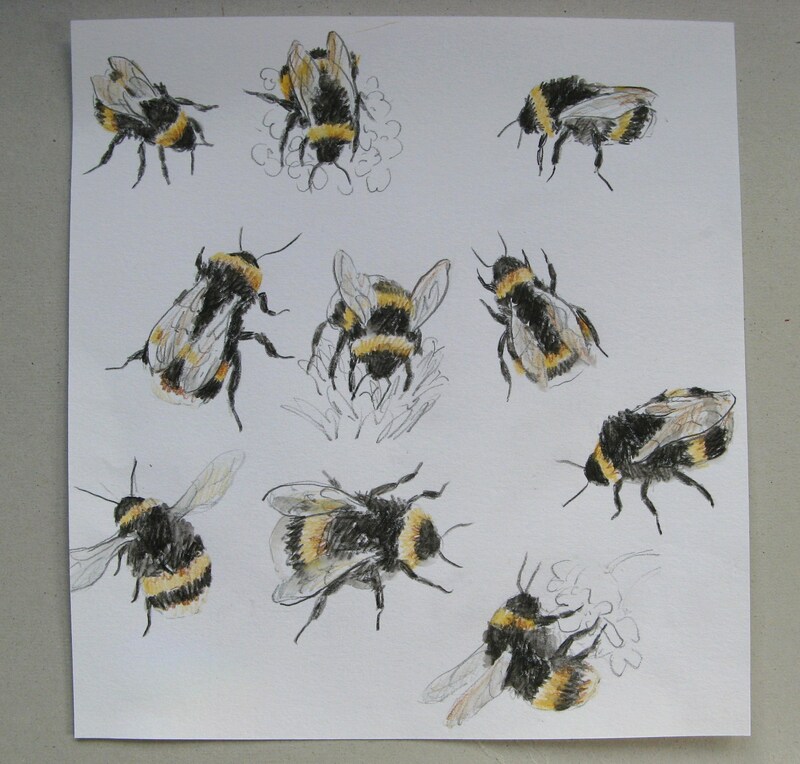 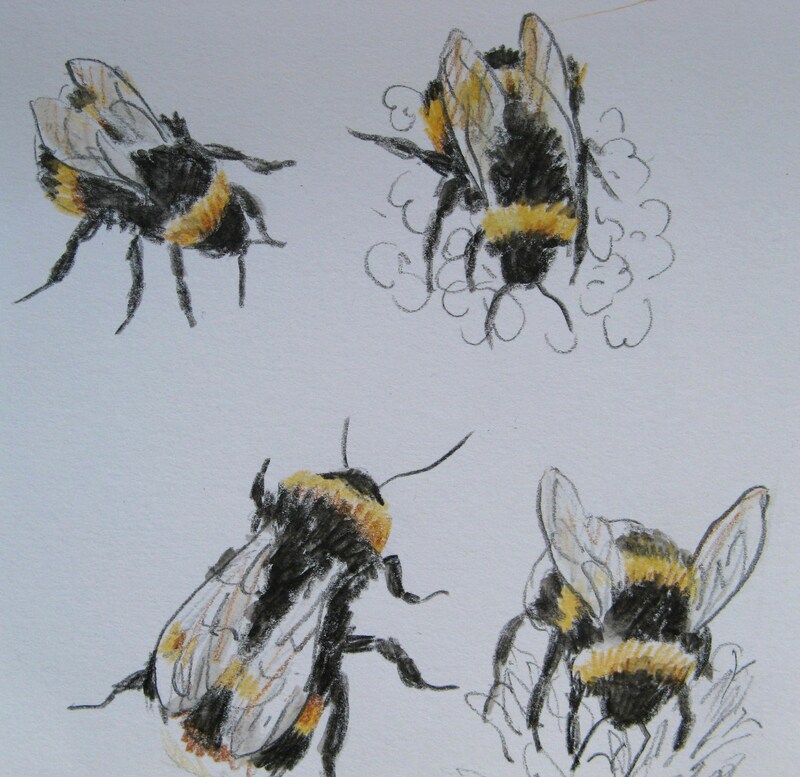 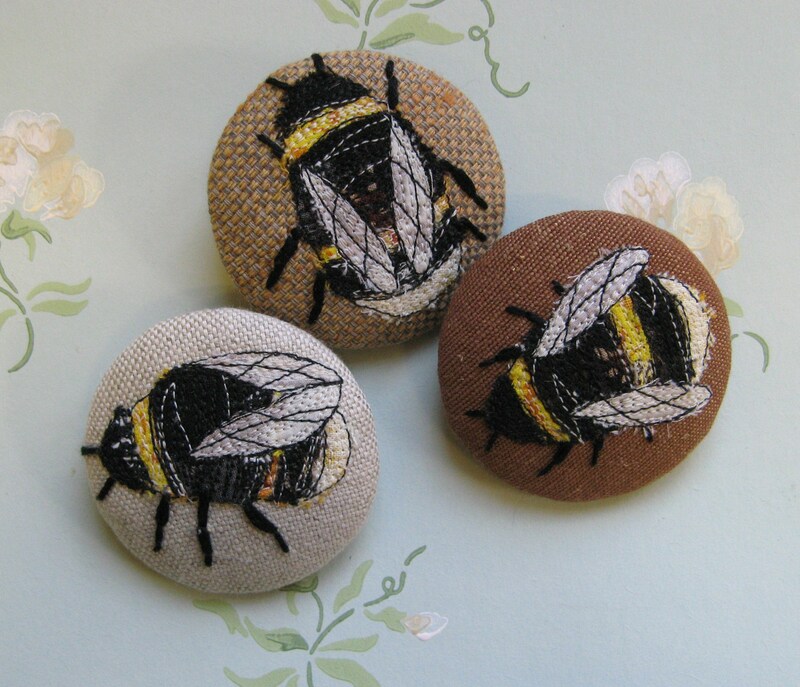 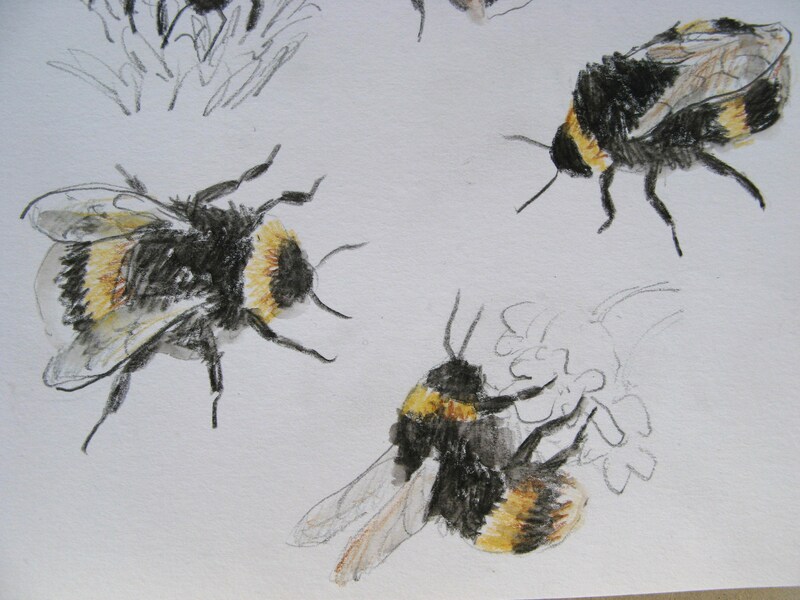 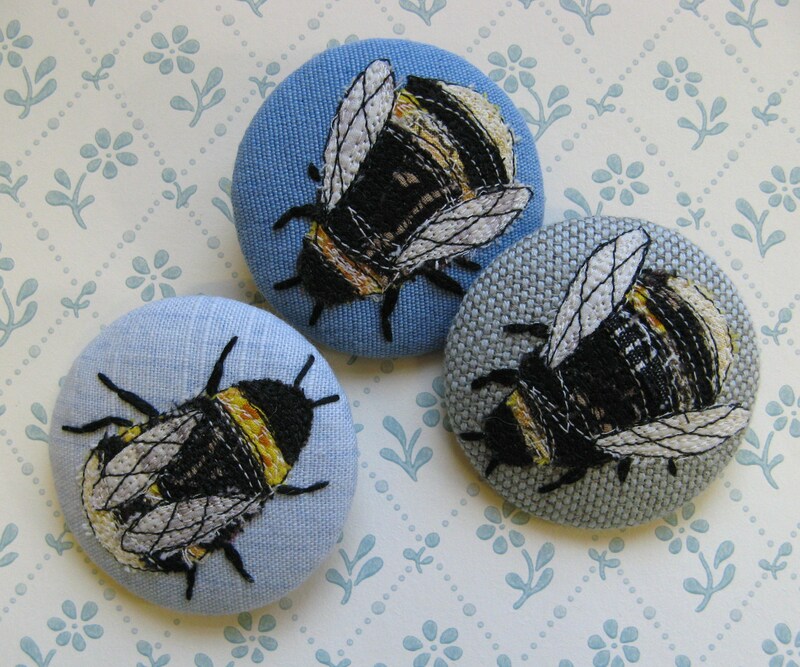 I`m hoping to spend a few days drawing soon, but first I have to make a few more bees, there`s only one left on my Etsy shop!